To make a flicker free prototype to be able to test and validate the impact on human behaviour and learning capabilities. To be able to produce a set of 20 prototypes, the project needed to gather competences from various sectors. Innovation Skåne lead the team that consisted of: Aaxsus, Lunds Tekniska Högskola (LTH), Danska Tekniska Universitetet (DTU) and Lundinova (and also BrainLit was involved later on). Everybody contributed with their knowledge and experience in the field. The prototypes were manufactured by Lundinova with input from the rest of the project team. This process included decisions such as how much of the DALI standard they needed to support, what components were the most economical to choose and which light levels to use as baseline (dimmed). DTU used their expertise to validate and show that the prototypes indeed were flicker free and Aaxsus contributed with troffers (light panels) and the location at a school. LTH was in charge of the actual study taking place in the school. The visual environment was evaluated by using a Visual Ergonomics Risk Analysis Method, VERAM, recently developed. 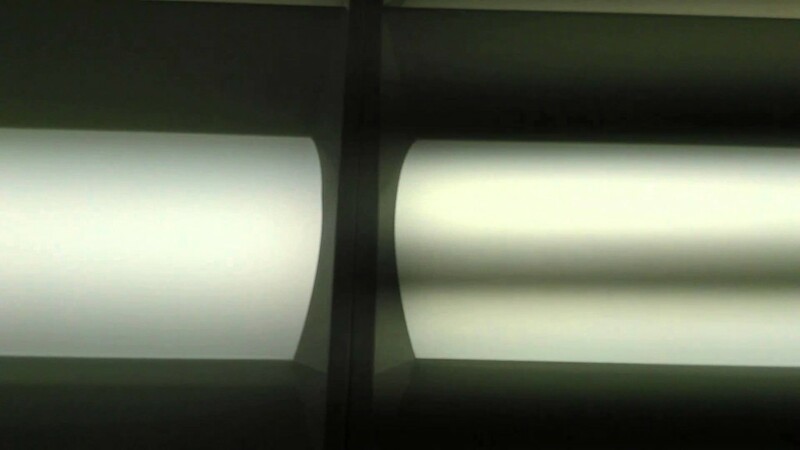 The VERAM consists of both objective parts such as rating the risk for glare, access to daylight and measuring the illuminance and luminance. VERAM also includes a subjective questionnaire answered online. The questionnaire consisted of questions about for example exposure to glare, eyestrain, headache and migraine. The participants were instructed to answer a questionnaire in four consecutive phases – in the first three they answered the questionnaire twice. The changes between the different phases took place when no students were present and there were no noticeable visual differences between the various phases. In the first phase, the luminaires with the existing drivers were dimmed down to about 80 % causing a non-visual flicker of 389 Hz, a modulation depth of 80 % and a flicker index of 20 %. Average illuminance level: 610 lux. In the second phase, the prototype flicker free drivers were installed, and the new drivers were dimmed to the same level as for the first phase, 80 % and a completely flicker free environment. Average illuminance level: 610 lux. The third phase was exactly the same as the first phase. In the fourth phase, the existing drivers were used at their maximum, causing no non-visual flicker. 100 % and a completely flicker free environment. Average illuminance level about 800 lux. The preliminary results show that the amount of participants with reported migraine was twice as high in the flickering environment. No differences were found so far regarding eyestrain or headaches. Due to delays in the study, some of the questionnaires have not been analysed yet, so the results of the study might change when a more thorough statistical analysis has been performed on all of the material. Several of the participants reported migraine in the flickering environment. These preliminary results show that more intervention studies are needed. It is especially interesting to focus on the difference between the individuals that are more sensitive to visual stimuli compared to the individuals that are less sensitive. What measurements or tests should we use when diagnosing the sensitive individuals? These are questions the research team would like to investigate further. The project was presented at a ”Light and Health” conference arranged by the IES, Illuminating Engineering Society, in Atlanta, USA, in April 2018. More thorough preparation before the installation of the new drivers, such as: What type of wire connections were available at the place of installation? The drawings for the driver could be placed open-access online to give other companies the possibility of developing luminaires with quality flicker free drivers.